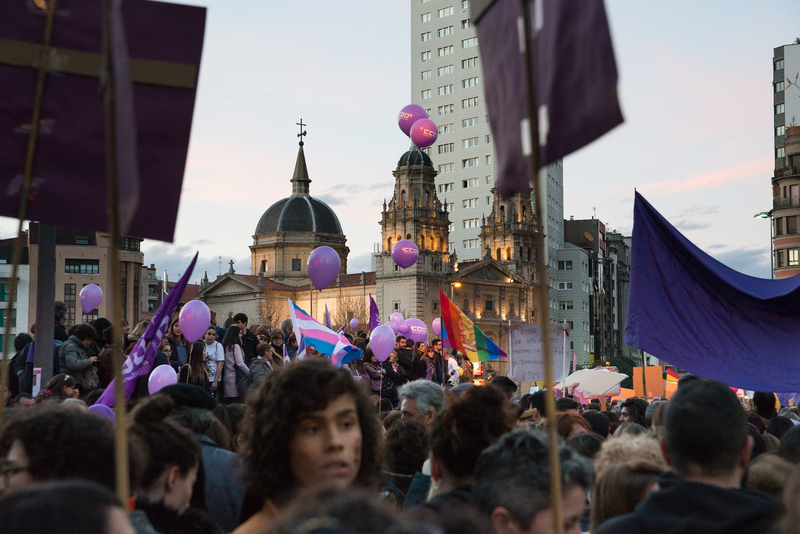 This past International Women’s Day was host to marches and gatherings all around the world. 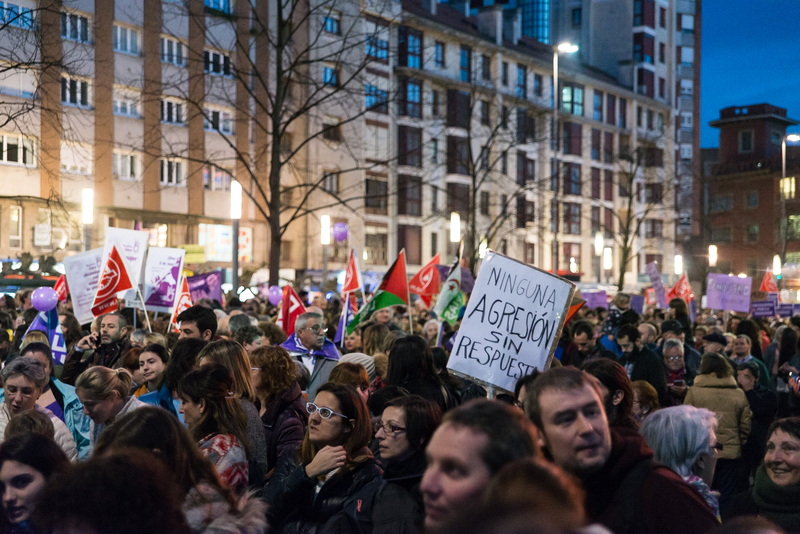 Here are some photos from the march in Gijón, a town just 30 minutes outside of Oviedo. 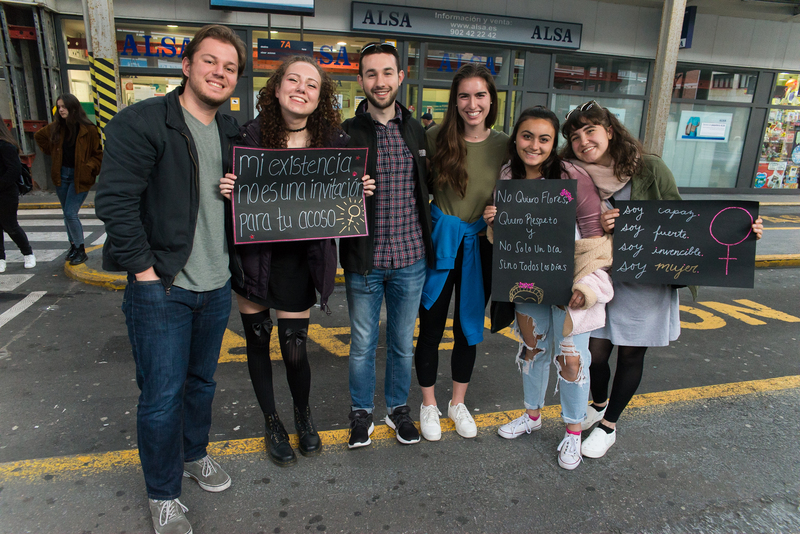 Students posing at the bus station upon arrival to Gijón. Students getting pictures before the official start of the march. 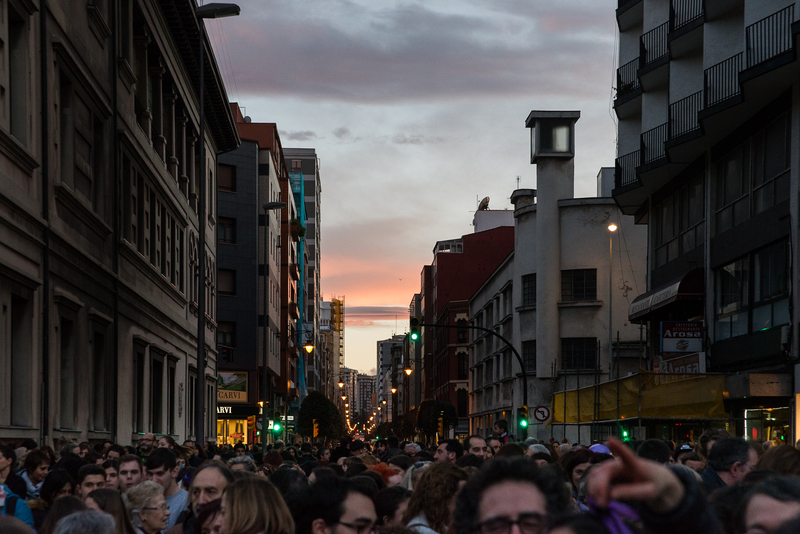 A pretty Gijón sunset behind the packed streets. 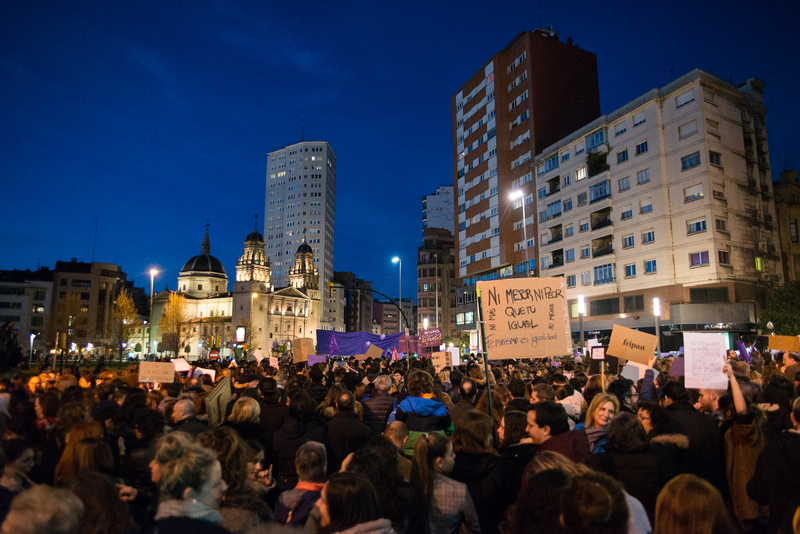 Marchers getting ready to proceed, with the Cathedral of Gijón lit up in the background. Students holding up some homemade signs! 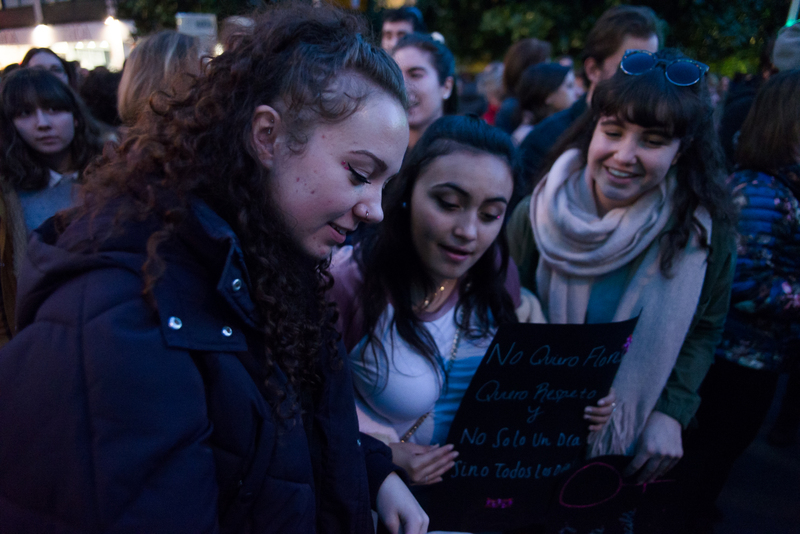 Students reading signs from other marchers. The packed crowd of marchers as the march officially gets under way. The march in full swing! 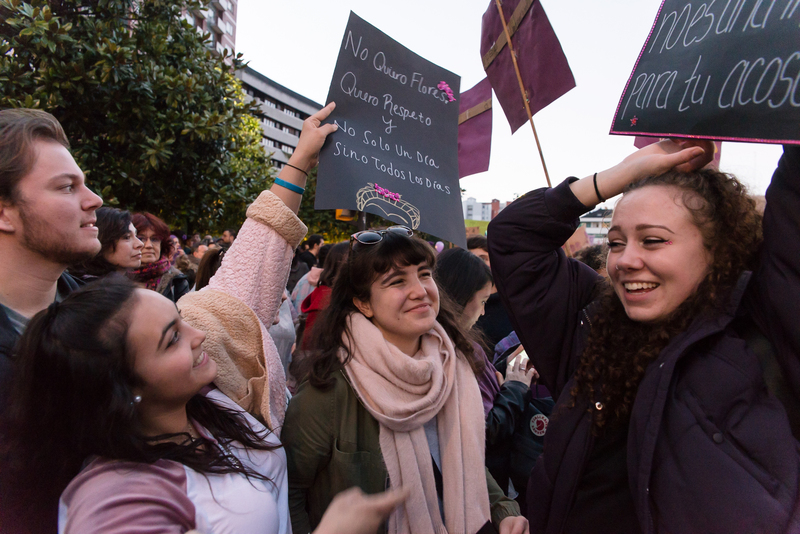 Students enjoying the march and posing with their signs. 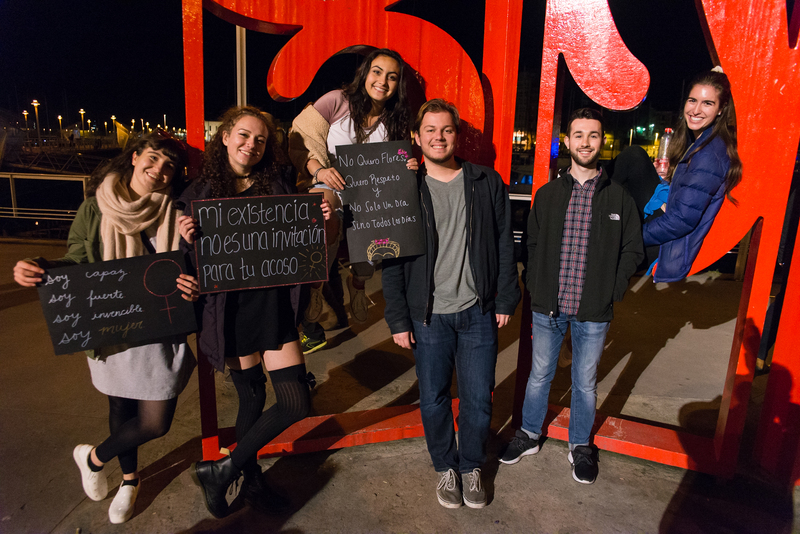 Students posing with the Gijón city sign after a great evening! 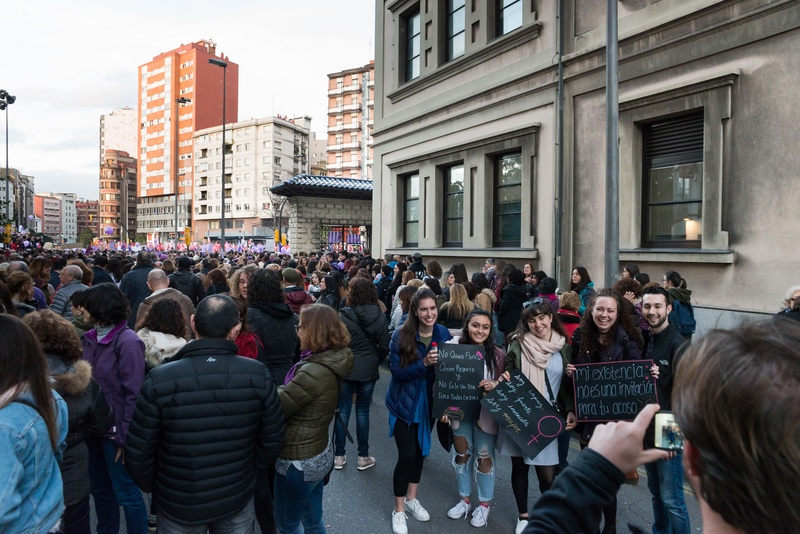 **Education Abroad and Overseas Campuses encourages students to actively engage in their host communities in a variety of ways; however, we caution students about the potential danger of participating in demonstrations or other events where large crowds gather and create the potential for violence to escalate. 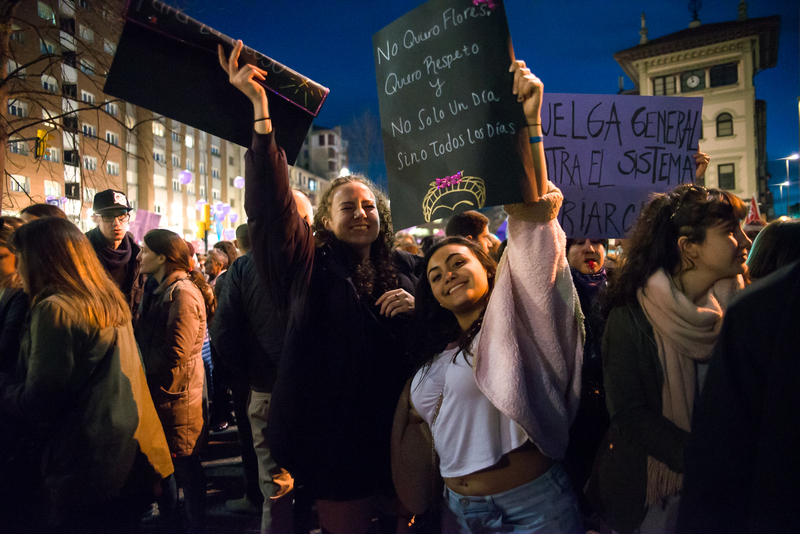 We advise that before deciding to go near or participate in a demonstration, students research and make themselves aware of potential safety or legal risks, as well as any pertinent laws about engaging in a demonstration as a visitor.